The week of September 27 – October 1 saw the LearnKey crew shooting the Microsoft Office Access training with Jason Manibog from Boise Idaho. He is currently a training manager for LeapFox Learning, but has been in the training industry for over a decade. He specializes in SharePoint, Access, and Excel training. It didn’t take him long to adjust from the real-time teaching environment of the classroom to the more disjunct method of recording. He quickly picked up on the process and within the first day was sailing along smoothly. He posted some impressive film time for a newbie! He also managed to keep his sense of humor in the sometimes stressful environment, making jokes and laughing through the process. His preparation before shoot and his knowledge of the subject matter made the filming a very straightforward effort. He is definitely an author we hope to bring back for future projects. LearnKey released our Dreamweaver Cs5 for Mac Course this week (I think I just heard a collective cheer from website designers and wannabe designers all over the world) and in celebration we have a promo for you to checkout. Keep an eye out later this year on learnkey.com for this course to be released. Or to receive new course updates, Like us on Facebook, Follow us on Twitter, or sign up for email updates. Are you ready for Outlook 2010? Expert Michael Meskers was here last week filming LearnKey’s Outlook 2010 training. The training showcases some of the great new features the latest version of Outlook has to offer like the ability to manage multiple email accounts, organize your emails with conversation threads, and stay connected to your social networks . Microsoft enhanced the functionality, simplified things, and provided us with more ways to customize Outlook, which in turn allows us to be a lot more efficient. 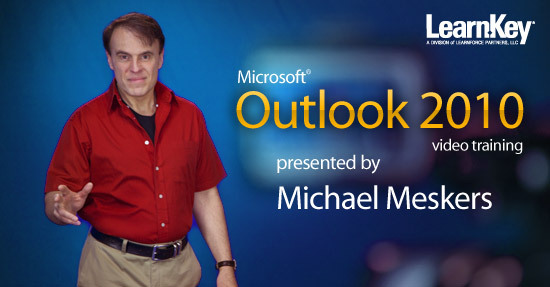 Be looking for the release of our new Outlook 2010 training! It’s going to be great! In LearnKey’s Flash CS5 course, that is soon to be released, Chad Troftgruben will explore design, animation, and action script. After completing this course, you’ll be more than prepared for the ACA exam and you’ll be an expert on Flash CS5! It doesn’t matter who you are, what profession you’re in, or what level of education you have, the tools you will learn in LearnKey’s Word 2010 course will benefit everyone! Expert Mandi Bergenfeld helps you navigate all of the new features and updates in our Word 2010 course. Check out our Word 2010 promo as we are nearing the release of this great new product! He is the expert and presenter of LearnKey’s Flash CS5 training, which we finished filming last week. Chad is a freelance media designer who has been working with Flash for a number of years. By applying methods used from his cartoon animation background and ACE certification, Chad provides a simplistic yet creative approach to each lesson he teaches. In 2007 Chad started providing free online video tutorials on Flash and other software. Since then, his tutorials have been viewed by thousands of people, including entrepreneurs, teachers, students and many others. Chad did a fantastic job in the production studio and for all of you Flash people out there, make sure you watch for the release of this new product – you’re not going to want to miss this one! Excel 2010 is Now Available! We are excited to announce that LearnKey’s Excel 2010 course is now available! Excel 2010 has some great new features as well some exciting new improvements that most definitely enhance the program! The best upgrade to Excel 2010 is the improvement Microsoft made to the performance capability by doubling the file size limit to 4GB improving sped and performance. However, this is not the only change to Excel’s latest version… many new features were included. Some of my favorites are Slicers and Sparklines and Data Bars! The slicer allows you to easily analyze data in the spreadsheet. You can also use it to create dashboards for professional, easy to read reports. Sparklines is a new feature that allows you to create single cell charts that are helpful when you are studying trends. This feature makes reading the information easier and makes the information that is displayed straightforward. You can also use data bars to illustrate negative values. Check out this video clip featuring our Excel 2010 presenter, Michael Meskers for more information on LearnKey’s great new course! 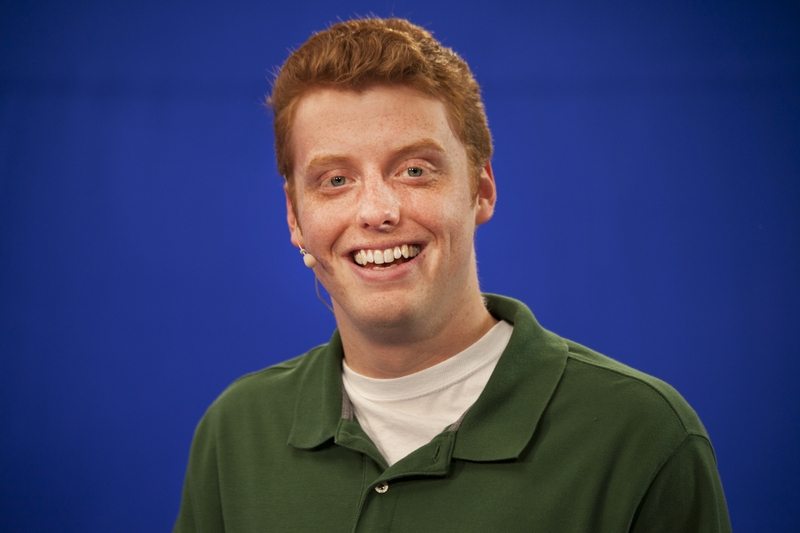 LearnKey’s Implementing IOS Network Security course featuring Tom Carpenter has been released! The Implementing IOS Network Security course maps to Cisco’s 640-553 IINS certification. This exam is geared toward individuals who are looking to specialize in security. With a CCNA Security certification, a network professional demonstrates the skills required to develop a security infrastructure, recognize threats and vulnerabilities to networks, and mitigate security threats. The CCNA Security curriculum emphasizes core security technologies, the installation, troubleshooting and monitoring of network devices to maintain integrity, confidentiality and availability of data and devices, and competency in the technologies that Cisco uses in its security structure. After taking this course, you will be able to recognize and describe the threats facing network infrastructures, you will learn to mitigate threats to your routers using ACLs and you will learn to implement firewalls and VPNs using the Security Device Manager, SDM.